Seattle Slip and Fall Attorney | 24/7 Help - Free Consultation! If you have suffered a severe slip, trip or fall, it may be time to contact a Seattle slip and fall lawyer at Colburn Law. A “slip and fall” may not sound like a serious accident but the reality is that slip & fall accidents can cause severe injuries and result in tremendous expenses from medical bills and long-term rehabilitation. Slip and fall accidents account for over one million emergency room visits every year and are the leading cause of missed days from work. If another person or party caused a slip and fall injury to someone else, the injured party should know his or her options for legal recourse. If you or a loved one recently suffered such an injury, contact Colburn Law to schedule a consultation with one of our Seattle slip/fall attorneys. The damaging aspect of a slip and fall injury isn’t the fall itself, but the landing. A slip and fall can cause serious injuries including bone fractures, soft tissue damage, internal organ injury, traumatic brain injury, or even spinal cord damage. The height and location of the fall typically determine the extent of the damage. A slip and fall has the potential to cause a bone fracture or other injury that can lead to long-term complications including nerve damage, chronic pain, and limited mobility or range of motion. Such an injury will not only lead to a significant initial expense for medical treatment but also likely require long-term rehabilitative care. Your first steps after a slip and fall injury are crucial. Your first priority should be your personal well-being, so seek medical treatment immediately, even if you believe your injuries are only minor. Some injuries take time to manifest symptoms, and any delay in seeking treatment could reflect negatively on you in a future legal case. A jury will assume that your failure to seek medical care as soon as possible indicates your injuries were not as severe as you claimed. If anyone witnessed your slip and fall accident, try your best to obtain their contact information so they can provide a statement later if necessary. If the police investigate your slip and fall accident, ask for a copy of the police report once they finish at the accident site. After you have received medical care and obtained as much information as possible about the elements of your slip and fall injury, your next step should be contacting a slip and fall attorney in Seattle. Most slip and fall cases fall under the purview of premises liability law, and your attorney can help you assess whether another party bears liability for your accident. Even if you believe your slip and fall accident was your own fault, the state of Washington follows a comparative negligence law, meaning a plaintiff can still receive compensation for an accident that he or she partially caused. The jury will assess the facts of the case and assign the plaintiff a percentage of fault. As long as this percentage is not greater than the defendant’s, the plaintiff will still recover damages. The court reduces the plaintiff’s case award in proportion to his or her fault percentage. For example, in a $200,000 case in which the plaintiff is 10% at fault, the plaintiff will lose 10% or $20,000 of the case award for a net total of $180,000. If you or a loved one suffer a slip and fall injury, it’s vital to assess whether another party is responsible for your damages. If so, you can pursue a personal injury lawsuit to obtain compensation for your losses. Slip and fall cases can quickly become complex legal affairs, so having the right legal representation is crucial. 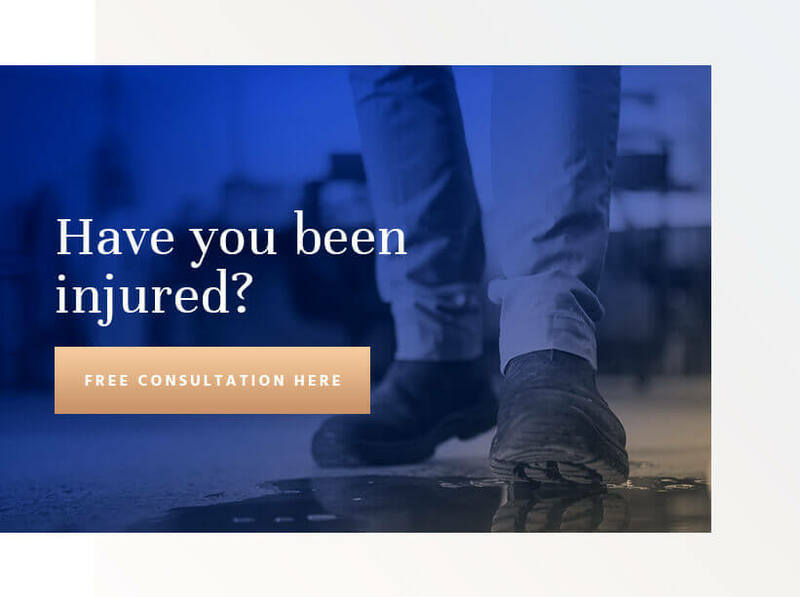 The slip and fall attorneys at Colburn Law have extensive experience with personal injury and premises liability cases, so contact us today to schedule a free consultation with a member of our team.